Marty McFly and Doc Brown will appear on London's West End in 2015 just in time for Back to the Future's 30th anniversary. If you're responsible for creating a film that has become a pop culture touchstone, how do you celebrate its 30th anniversary? If you're Robert Zemickis, director of all three Back to the Future movies, you take the story to London's West End theater district for a brand new stage musical. The new musical is scheduled to premier in 2015, 30 years since the original film was in theaters. The play's book will be co-written by Zemickis and Bob Gale, both of whom wrote the script to the first Back to the Future. Gale also penned the scripts for the film's two sequels. Also helping to write the musical's script is Jamie Lloyd, who will direct the play. A Broadway release is possible if the show performs well in London. The show's lyrics and music will be written by Alan Silvestri, who worked on the score for the Back to the Future trilogy as well as Marvel's Avengers movie, and Grammy-winning record producer Glen Ballard. And for those concerned that the musical won't have the appropriate amount of 80s-style radicalness, one Andrew Willis has been hired to be the play's official skateboard consultant. 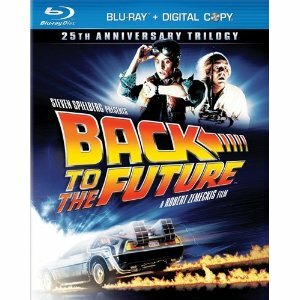 "The Back to the Future musical is a project that Bob Zemeckis and I have been exploring for almost ten years," said Gale in an interview with BTTF.com. "We're thrilled to be at last in partnership with a creative and producing team that will create a show that is true to the spirit of the film without being a slavish remake." Gale also said that music from the original movie will be featured in the play as well as new songs. And for those wondering, Johnny B. Goode and The Power of Love have already been confirmed to appear.